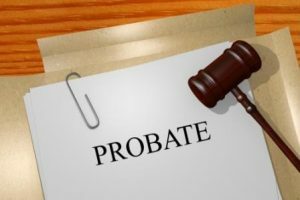 What is Probate & Process in Santa Clara County? You are here: Home / What is Probate & Process in Santa Clara County? Jennifer F. Scharre, probate and trust attorney explains probate and the probate process in Santa Clara County, California. Whenever someone passes away people always ask me – what do you do? There are funeral bills to be paid, credit card bills to be paid, what happens to that person’s assets? The way I like to think about it is that everyone has this box. All of their assets in the entire world are in this box. They can buy things and put them in their box. They can sell things out of their box. They can even give things or donate things out of their box and give things away to people. When they pass away this box snaps shut! The only person that can open this box is the Judge of the superior court in the county where the person passes away. The problem with that is that it can be a very long time in some cases. For example, in Santa Clara County a hearing date is about three months away. There is also a variety of steps you have to take to even get to present that box to the court so that they can help you open it up. You have to file a petition for probate. You have to indicate who has passed away and why you are entitled to represent their estate. There are various parties you have to notice. You have to notice any heirs, any trust beneficiaries and potentially any creditors. The other thing you have to do is give notice to the whole world. The way you give notice to the whole world is you publish this notice. That has to be done over three weeks. Even when you get done with this process you are then answerable to the court themselves. You have to tell them what assets are in the estate if that person had any estate planning documents, and at that point, you go through the process of actually administering the estate which is what a probate proceeding is all about. This can be very onerous for people who have just gone through the process of losing a loved one. Jennifer F. Scharre is an attorney at the San Jose law firm, Temmerman, Ciley & Kohlmann, LLP. She provides representation in estate planning, conservatorship matters, guardianship matters, and trust and estate administration and litigation. Jennifer may be reached at 408-290-7210 or www.tcklawfirm.com.